In 1877 Thomas Alba Edison invented the phonograph. A device that is fully capable of recording and playing sound. 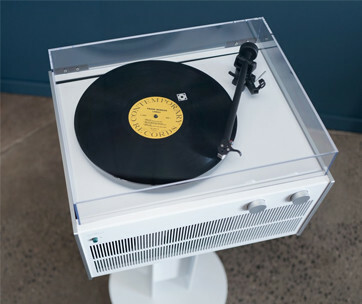 One hundred and forty one years later, the classic Edison phonograph is given a modern twist in terms of the features that many of today’s audiophiles look for in a music player. 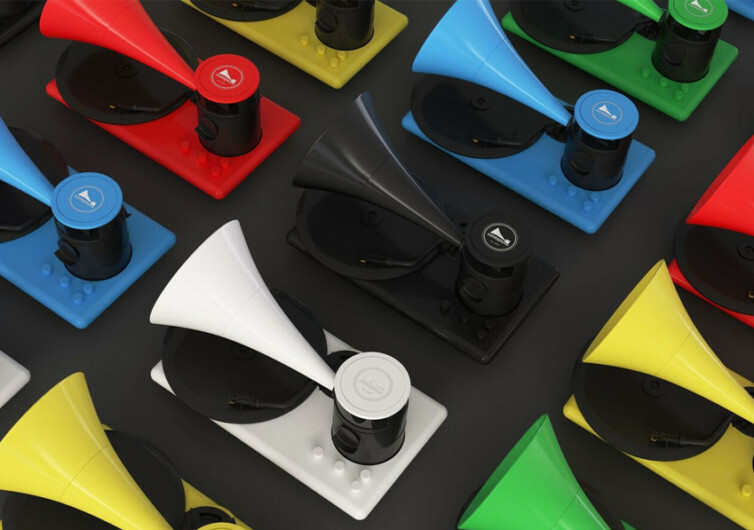 The Kozmophone is a tribute to a classic, yet filled with all the technological ingenuities of the 21st century. 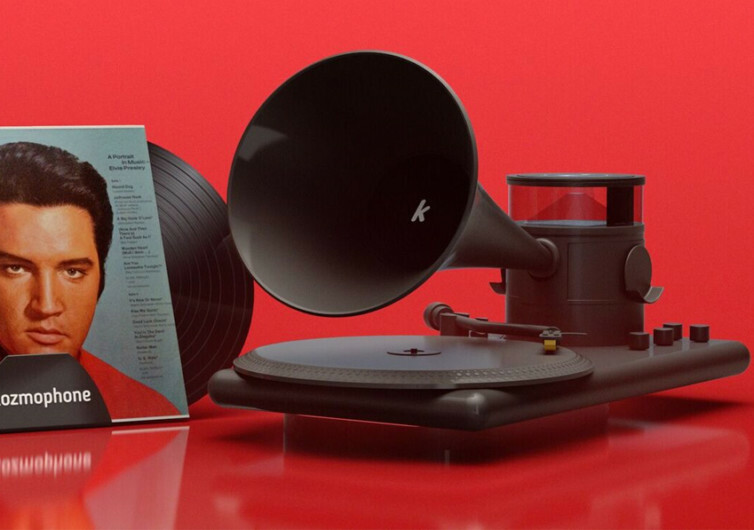 The design of the Kozmophone follows the classic 19th-century gramophone complete with a horn-style speaker sticking out from a tower standing on one side of the base. 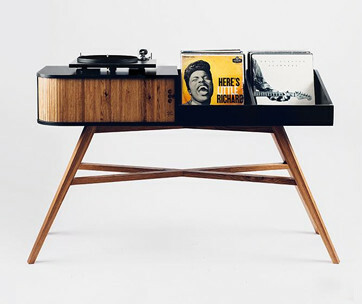 Directly underneath the black silhouette of the horn is a 2-speed turntable that can play either 33-1/3 or 45 RPM. 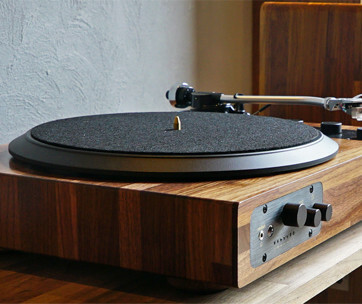 It’s time to bring out the vinyl records that you have in your collection or display cabinet and start reliving the wondrous sound of music from these media. 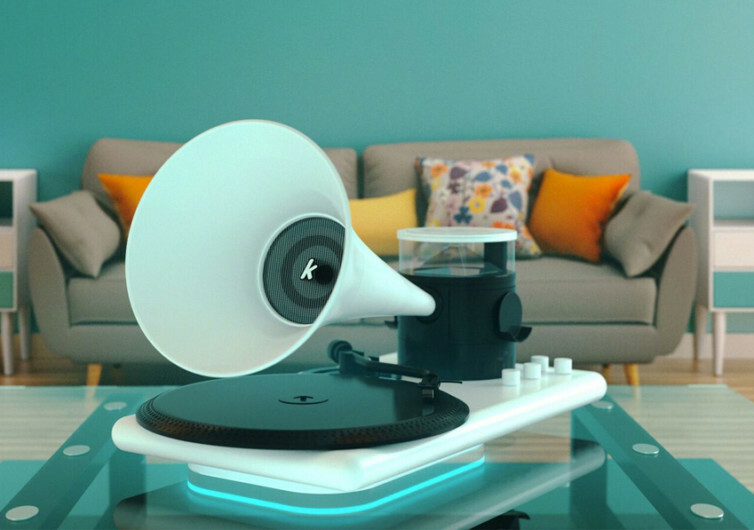 The Kozmophone doesn’t only play vinyl records, however. 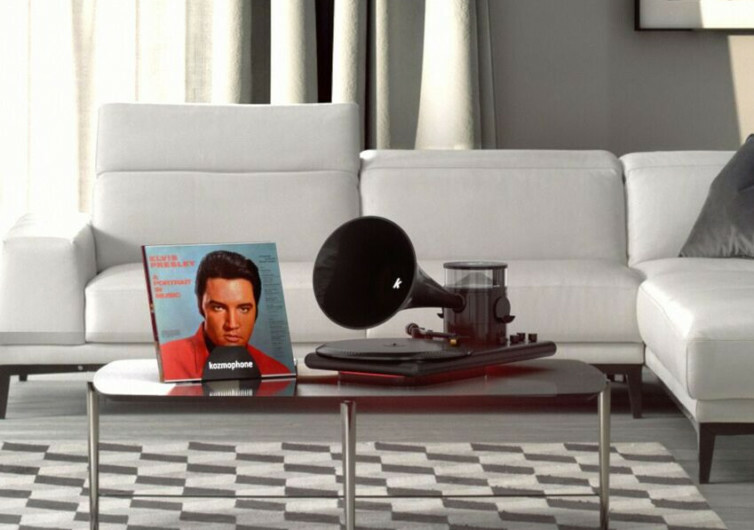 It’s also built with some of the latest in 21st-century technologies like wireless audio connection and Bluetooth speaker functionality, allowing you to enjoy your favorite tunes from your smartphone and other modern music-playing devices and gadgets wherever you are in your house. Of course, you can also connect your radio, stereo, and other home entertainment system through the Kozmophone’s RCA port. Enjoying music is made more modern, too, as the Kozmophone comes with its own holographic display. The speaker base also doubles as a wireless charger for compatible smartphones. An integrated mechanism also serves as a stand for your headphones in case you want a more personal music enjoyment. 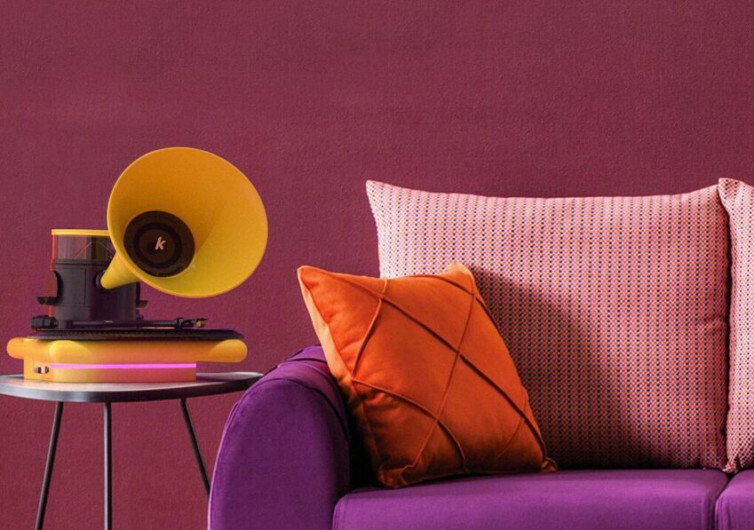 The Kozmophone marries the classic design of the gramophone with the music playing ingenuity of the 21st century. And while music is at its core, it does take care of some other aspects of your life, too.